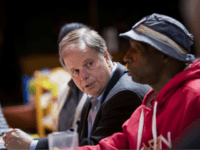 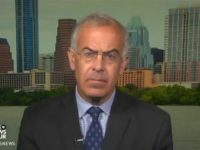 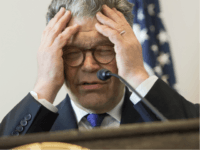 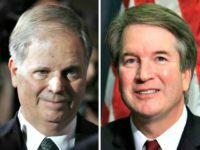 A Morning Consult poll released on Tuesday revealed lukewarm polling for Sen. Doug Jones (D-AL), which puts him “between a rock and a hard place” ahead of Supreme Court nominee Brett Kavanaugh’s October confirmation vote. 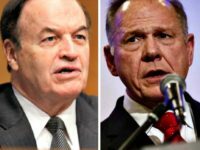 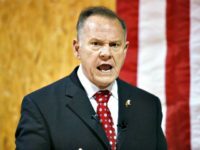 Judge Roy Moore filed an election complaint alleging that voter fraud swung the election in favor of Moore’s Democratic opponent, Doug Jones. 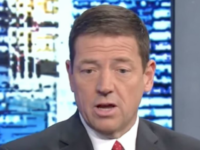 Political contributor and talk show host Ed Martin, minced no words when describing some of his fellow contributors at the CNN. 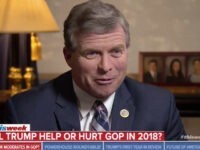 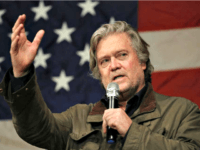 Bill Staehle, who served with Judge Roy Moore in Vietnam, joined Breitbart News Tonight host Stephen K. Bannon on SiriusXM 125 the Patriot Channel Monday on the eve of the Alabama Senate election. 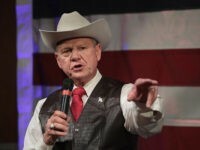 GOP Senate candidate from Alabama Judge Roy Moore summed up his view of what is needed in America: faith in God and understanding and adhering to the Constitution. 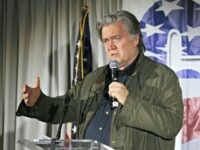 Steve Bannon had a stark warning for Republicans who pushed back against President Trump’s “America First” agenda. 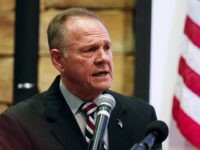 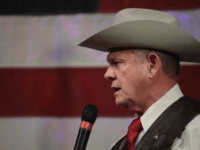 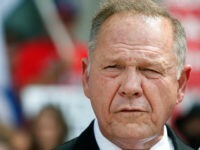 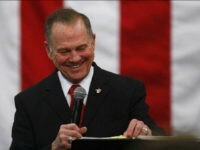 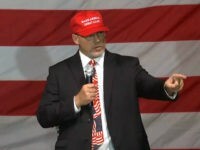 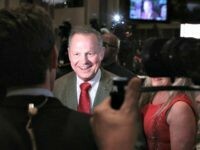 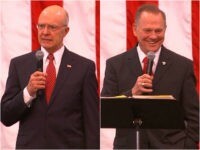 At a private campaign Christmas event with core supporters and family at his Montgomery headquarters, Alabama’s GOP senatorial nominee Judge Roy Moore on Sunday evening laid out the stakes in Tuesday’s election in brief remarks to the group of approximately 50 people. 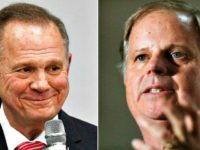 Moore holds a five-point lead over his Democratic rival Doug Jones days before Tuesday’s United States Senate special election in Alabama. 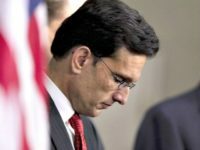 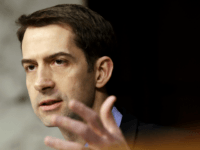 Sen. Tom Cotton (R-AR) backed up GOP candidate Judge Roy Moore in an interview with the Associated Press as allegations against Moore crumble amid revelations of forgery. 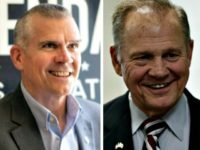 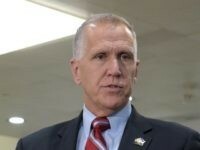 Sen. Tom Tillis called for an Ethics Committee Investigation of Alabama Judge Roy Moore should he beat Doug Jones in the Alabama Senate race. 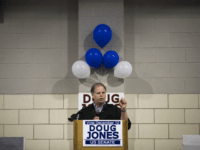 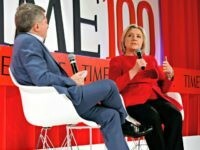 Steve Bannon blasted Alabama Democratic candidate Doug Jones Tuesday as representing the globalist agenda pushed by Hillary Clinton. 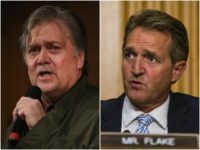 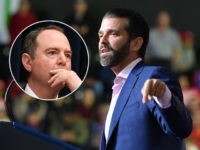 Breitbart News Executive Chairman and former White House Chief Strategist Steve Bannon tore into establishment anti-Trump Sen. Jeff Flake (R-AZ) Tuesday over Flake’s decision to write a $100 check to Democratic Alabama senate candidate Doug Jones.